The Uncurated Life: MAC Heroine is BACK and It's Here to Stay! 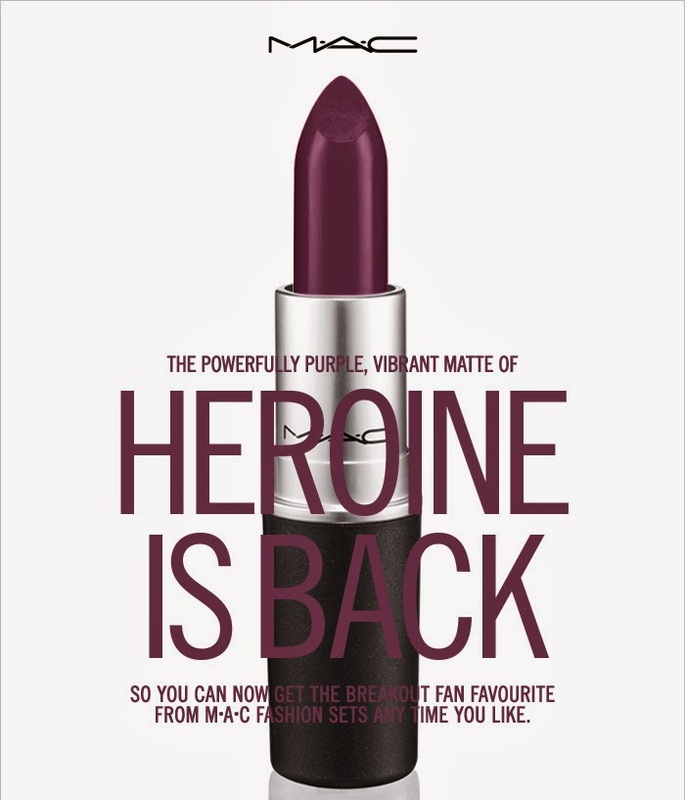 MAC Heroine is BACK and It's Here to Stay! It must be because 2014's shade is orchid that MAC decided to bring back MAC Heroine and finally making it permanent... or just that MAC finally heeded all our wishes that they are finally making this coveted bright purple lipstick finally a staple in their permanent collection. Can't wait to get my hands on this tube... FINALLY!